It used to send messages via SMS messages, but now there is a Chat application that can be used to send pictures, videos, songs, locations, or various other files. Besides that the Chat Application can be used on a Smartphone or Tablet with an Android or iOs base. There are many chat applications that can be used and all of them are free. The first is Whatsapp, a lot of people use Whatsapp. Even in some countries in the world Whatsapp occupies the first position as the most widely used chat application. Whatsapp provides convenience to send text messages in the form of video location and other files. Besides Whatsapp it's easy to use, it's free, users can also create groups and send voice messages. The list is very easy to use Email or Mobile Number. Next chat Line application with full features, in addition to sharing video image text messages, on the Line application there is also the latest Information or News. And there are also some games from Line that can be played using a Line account. Application Line is also used by several large companies to provide or share promotions to Line users. This chat application is a feature of Facebook, but made separately. Messenger is used to send private messages on Facebook without being seen by many people. In addition this application is used to send messages on the Facebook Marketplace regarding price info, product descriptions, or other information. Messenger also provides complete features such as sending links and images. If you use Facebook you should also use Messenger to make it easier to receive and send messages. Google also has several applications that support communication such as Hangouts and Google Duo. This application is separate, for sending picture or video messages using the Hangout application. It has an attractive appearance and complete features, widely used throughout the country. While for the Google Duo Video Call application is the best application, because it is more stable and lightweight. Interference is rare except that Google Duo is most in demand because it is very easy to use. The first application that has a Hold to Talk feature, users can send voice messages easily. In this application there are hundreds of funny emoticons that users can use for free. In addition, in this application users can shake the Smartphone to find the closest WeChat users. 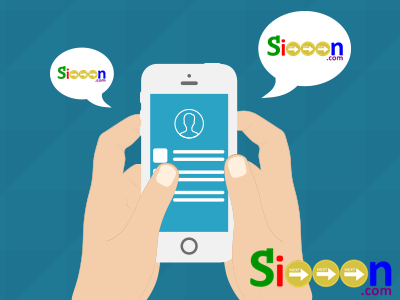 This application has users who continue to increase and until now it is a chat application that is still in use. Initially this chat application came with various vouchers and promos from several restaurants, theaters, and several fashion shops. But developing into a chat application that is used for various video picture messages, Kakao Talk also has many exciting emoticons.